Elephant Garden Statue Outdoor Sculpture. At well over a yard tall and 4� feet long, this 94 lb. Exclusive lends an exotic presence that reflects a long history of fine European sculpture in garden galleries. 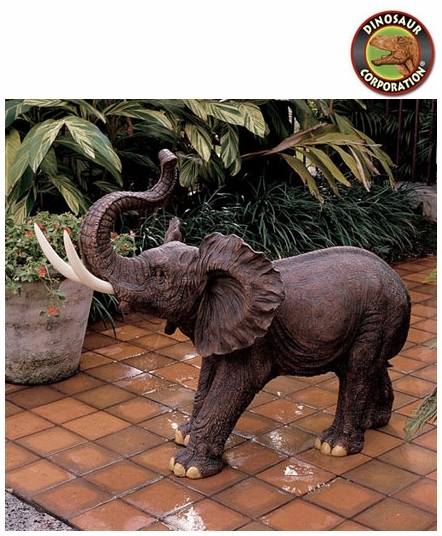 With its trunk raised for good luck, our substantial bull elephant with faux ivory tusks is a true-to-life investment trumpeting its exotic way into your garden. * Size: 55" W x 25�" D x 42�" H.